Following the success of National Boat Shows (NBS) 2013 show, next year the show will be held on the same Show layout in the world-class ExCeL London, bringing all the exhibitors together in the South Hall. Feedback from this year’s show indicated that exhibitors and visitors alike appreciated the extra buzz and atmosphere that was created by being in one hall and there was a strong desire to continue with this format. In order to guarantee that same layout, and to avoid any clashes with the Dusseldorf Boat Show, the show will run from 4 to 12 January in 2014. As the trade association for the leisure marine industry, the BMF, alongside NBS, has a duty to investigate any opportunity that may be commercially beneficial to the industry. While focusing on our core shows, NBS has considered many other options and opportunities including an alternative show at Canary Wharf. 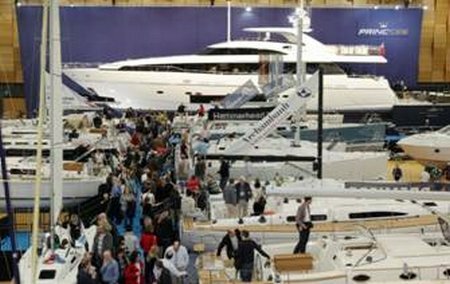 However, despite NBS being chosen by Canary Wharf as their first choice partner against strong opposition, following feedback on the 2013 Tullett Prebon London Boat Show, and consultation with key industry leaders, it has been decided that the leisure marine industry is best served by building on the successful London Boat Show at ExCeL. All of the BMF/NBS’s energies will be poured into ensuring that the show delivers what both industry and visitors need.